We realise our objectives of economic value creation, as well as social and environmental responsibility through management standards and innovative thinking that enable employees to do their work honestly and diligently, increase productivity and ensure a growth of income. Furthermore, we create beneficial and fair relationships with our customers. We returned to primary principles and asked the question why natural ecosystems as so sustainable whereas industrial systems often fail. The general notion is that this is all due to technology – isn’t it technology that is responsible for pollution and the depletion of resources, as well as a multitude of social problems? It seems that technology in itself is not the culprit, but rather the way it is applied and the philosophy underpinning it. For most people technology has become synonymous with a profit-driven nature-adverse philosophy. But this is not necessarily the case. It is clear why open living systems are adaptable and therefore sustainable – they react to the environment with sensitivity. The answer to sustainable farming should lie in subjecting the necessary technology to the operation of an open system. The open system approach has been applied in the strategic and management set-up of ZZ2 through a so-called Meta strategy. We are conscious of our system’s four main drivers (according to Aristotle): Purpose, design, operation and resources, as well as the intense regulating interactions required between these aspects. We understand the relationship between the subsystems and supra-systems and we roll in the social, economic and ecological supra-systems in which we are subsystem players. We use the best information technology and pay a lot of attention to communication to keep our own subsystems in balance and harmony – ‘converters’ such as production, packaging and marketing. The key to efficiency is to create sensitivity amongst our subsystems. Sensitivity towards supra-systems outside is key to adaptability and survival. We use the Balanced Scorecard/Strategy Map – concepts of Kaplan & Norton as a useful framework to organise our systems planning. 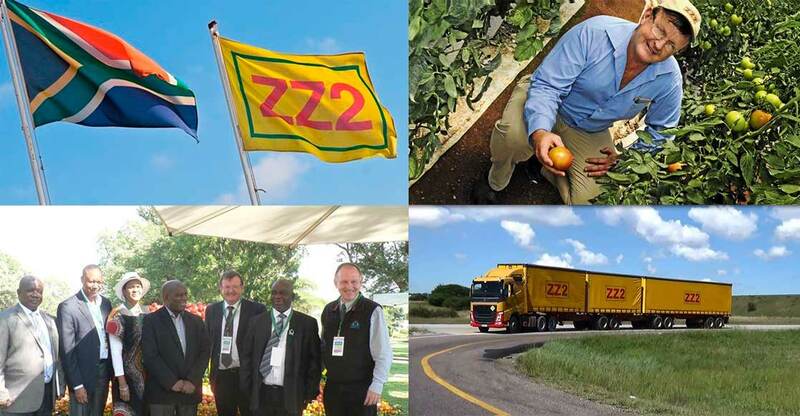 ZZ2’s aim, as an open system, is to create value for all our stakeholders. In the first place, naturally, through delivering quality agricultural produce to our customers – our primary supra-system. But we also wish to provide value to other stakeholders (employees, surrounding communities, government, fellow farmers, market agents, suppliers and shareholders) in a sensitive and interactive way. We wish to design and strategise our industry in such a way that we make ZZ2 as useful (value creating) and indispensable as possible for these greater human systems in which we operate, because that will create sustainable survival. Outside of human systems there lies the greater natural system of this living planet, and this is actually our chief stakeholder. All our interactions with people and nature are aimed at replacing antagonism with symbiosis. We believe that our deeply contemplated ethical code is also a rational recipe for sustainability in agriculture. 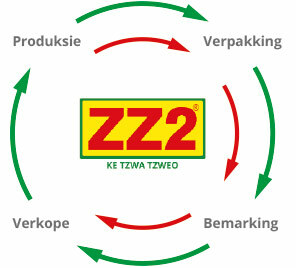 ZZ2 consists of several divisions that support the greater ZZ2 system and all of these divisions work together towards a common goal, namely optimum production, packaging and marketing.